The small area of Little India in Georgetown Penang is a lively place to stay, with some amazing Indian food, lively street life, Indian shops and a seemingly endless amount of festivals, giving this area of town a very different feel than the nearby Chinatown area. Little India doesn't have that many places to stay within it's actual boundaries, but there are an ever increasing number of small guesthouses and hotels just a minute or two by foot. For more information, to read reviews and compare room prices, click on the links below the hotels. 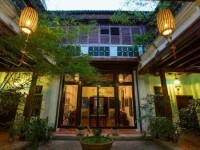 Located along Penang Street on the edge of Little India, this restored Heritage accommodation offers guest a great location with Heritage style at a very reasonable price. 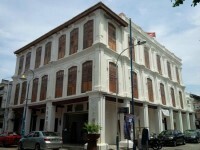 A small boutique heritage hotel located in a beautiful old building along Lebuh China, next door to the China Tiger hotel and just a minutes walk to the heart of Little India. 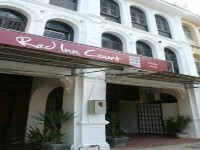 A popular budget guesthouse with rooms and a dormitory, located on Lebuh King (King street) right in the heart of Little India, with dozens of restaurants, shops and the sights and the sounds of this vibrant area of town, just on your doorstep. Located along Queen street a stones throw away from Little India, this is a great place for female travellers with a "Ladies Only Dormitory" or you can choose to stay in the double rooms. China Tiger is a small 4 room apartment style accommodation offering large rooms, with luxury stylish furnishings, ideal for small groups or families and is located just on the edge of Little India on Lebuh China (China Street). 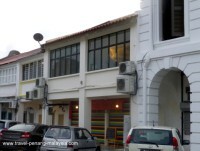 A budget backpackers hotel with a dormitory and rooms, located on Lebuh Gereja (Church Street), near St George's Church, on the edge of Little India. This place has a bit of a reputation as a party place - so if that's what you are looking for, this is a great place to stay. If you are looking for something a bit more peaceful, look elsewhere! 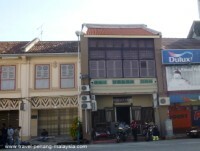 Budget accommodation located on the corner of Pitt Street (Jalan Masjid Kapitan Keling) and Lebuh Pasar which is the main road along the edge of Little India. 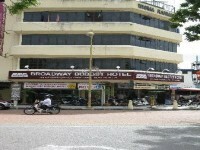 Located a little further along Jalan Masjid Kapitan Keling this budget hotel offers a modern dormitory or private rooms and is located just a minutes walk away from Little India. 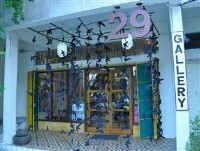 Just outside Little India along Penang Street and near the Penang Esplanade are the Friendship Motel and Merlin Hotel. Moving away from Little India you head into Chinatown and the busy backpackers area around Chulia Street, Love Lane and Muntri Street. Here you will find dozens of more budget guesthouses and hostels, as well as some upmarket luxury Heritage hotel accommodation.